In this iPhone games review round-up, I have a variety of games to show you. 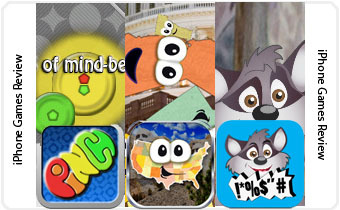 They range from educational puzzle games to an app that teaches you or rather amuse you with foul language. Stack the States is an interesting educational game which teaches you about the different states within the United States. 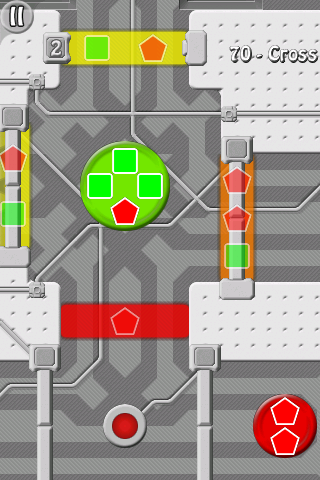 Pinch on the other hand is a puzzle game that requires players to think and plan in order to succeed. 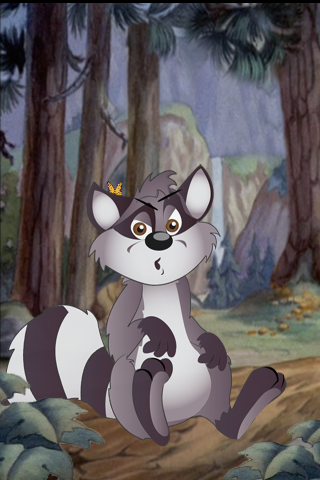 Lastly, Rodger the Racoon is an app that amuses you with some foul sentences and phrases. Read on a more detailed look at each game an app. What more can you get if you want a blend of fun together with education of your very own country (applicable to people living in the United States)? Learn different facts and interesting knowledge about the states within the US. After playing for some time, you will be able to recognize the geographical positions of the state, the nickname, the shape and so much more! Learn as you play the games available within the game! The main feature is the stacking game which tests your knowledge about the states. Each correct answer awards you with that particular state to drop within the level. Drop and place the states to reach a certain height to win! You do have to consider the physics behind the stacking as well! 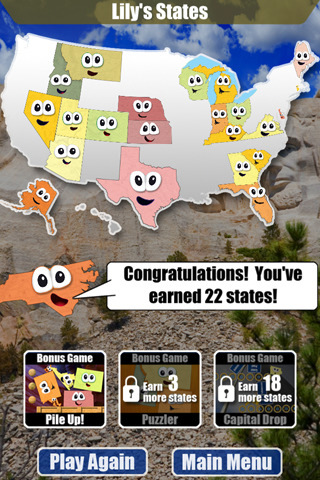 There are 3 other bonus games to be unlocked: Pile Up (remove all of the states before they pile up to the top of the screen), Puzzler (move the displayed state shapes around and put them together like a jigsaw puzzle) and Capital Drop (match the states with their capitals). The game as fun and educational it is, I cannot see the strong appeal for people living outside the United States, I mean the game is good for some general knowledge or so but the way the game is orientated it is more targeted towards the users within the United States. Of course that is the only downside to the game, the lack of global appeal. Maybe the developer could add in other continents and thus making the game more wholesome. 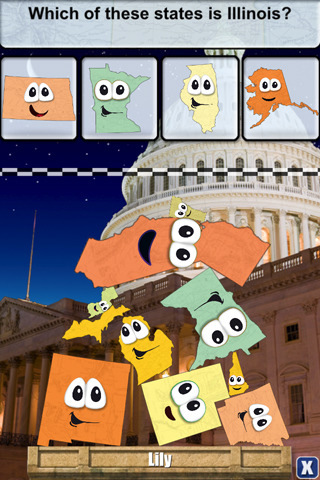 Overall, Stack the States is a great educational game for the kids. Pinch is a puzzle game where you are to guide a given number of coloured Norbs (orb/circular looking objects) into the exit. Along the way, you are faced with logical puzzles and obstacles where you have to think and plan your route in order to guide all the Norbs present to the exit. You can however choose not to guide all of the Norbs as long as you meet the minimum requirement to pass that level. Scores however, will be compromised. What is interesting about pinch is how it utilizes the multi-touch technology the iDevices have. You can guide as many number of Norbs as you want at one given time. As such, it becomes more exciting and fun to coordinate your movement and complete the level at a shorter time possible. I have yet to see many games utilize such a feature and even if they did, it was shabby and not up to mark. Pinch however does just the opposite; the execution of the multi-touch mechanism is great and helps in making the game much more fun as well. 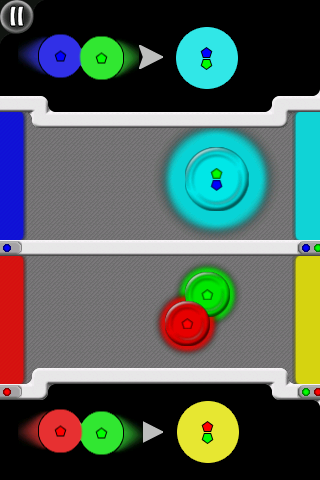 The other puzzle element present within pinch is the ability to mix and match colours of the Norbs. As you combine Norbs of different colours, a resultant bigger coloured orb will form. For example if you mix blue with red you will get purple etc. This is extremely vital as there are zones where only certain colours can pass. This adds an additional challenge to each level as you have to think of which orb to get first and how to mix and match in order to get a 100% completion status of the level. So you can basically pinch and separate Norbs, make them merge to suit your needs. There are sufficient levels to keep your brain thinking. The gradual increase of difficulty is welcomed as well as it allows you to slowly adjust your mind and thinking at the start while slowly introduces tougher puzzles to solve. The added feature to enable zooming in and out allows players to make more precise movement as well as get a better overview of the level. For the price of $1.99 I say pinch is a great puzzle game to have for both young and old alike. 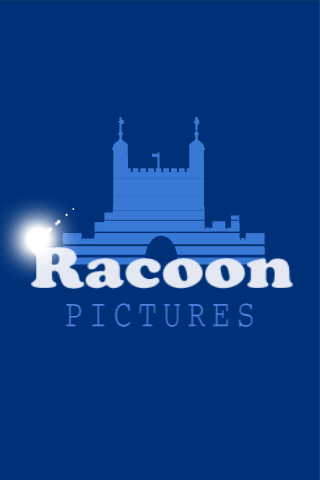 Rodger the Racoon is not so much of a game but more of an entertainment app. What it does is basically entertain you with foul phrases and languages. You press on the raccoon and you get a new phrase played out. I’m not sure if it really is that entertaining. I am however sure that the money you pay for the app ought to simply go into the art work done, other than that the app isn’t really anything at all.